Along with the invitations, I designed and made a new dress for my wedding celebration. It was during Fiestas de Santa Fe so I looked to traditional fiesta dresses for inspiration. 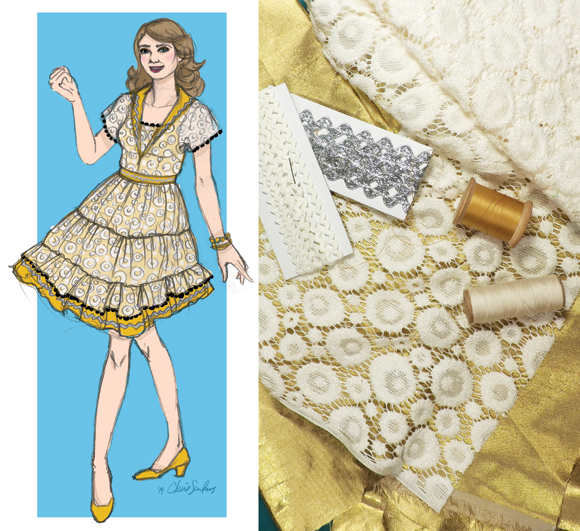 I found the cream colored lace fabric first and let that dictate a color that would pop out well. I've worked with gold lamé in the past and it frays so easily I wanted to find a gold with a little more body. The fabric I found is still very metallic but it has a shantung feel, so there are some more fibers running through it to give it more weight and it doesn't just fall apart when you cut it. I did my best to incorporate special things in the day of the celebration. The buttons are from a Lilly Pulitzer mens jacket that belonged to Alec's grandfather, which I remade to fit me. The thicker bracelet belonged to my grandmother and my mom gave me the thinner bracelet. The locket was a high school graduation gift from my dad and brother. My wedding ring is from Alec's grandmother so I think I got a lot of family covered. 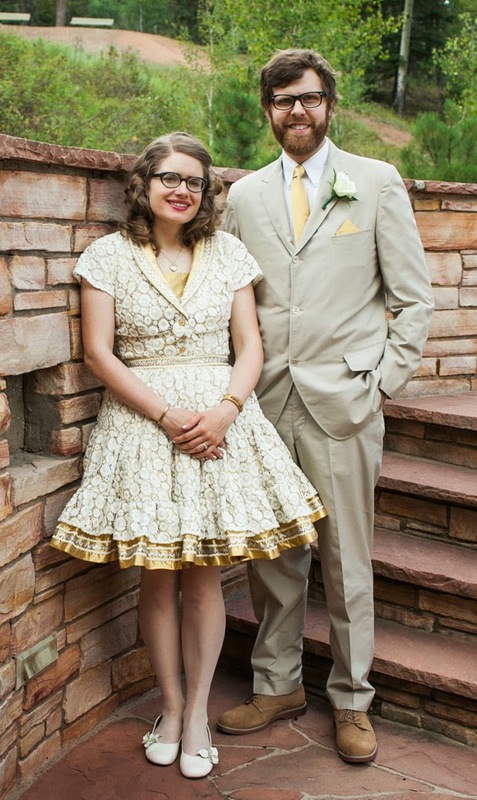 I know we don't look super excited in this photo, but it shows the dress the best and we were very happy but we had a lot of photos to take.